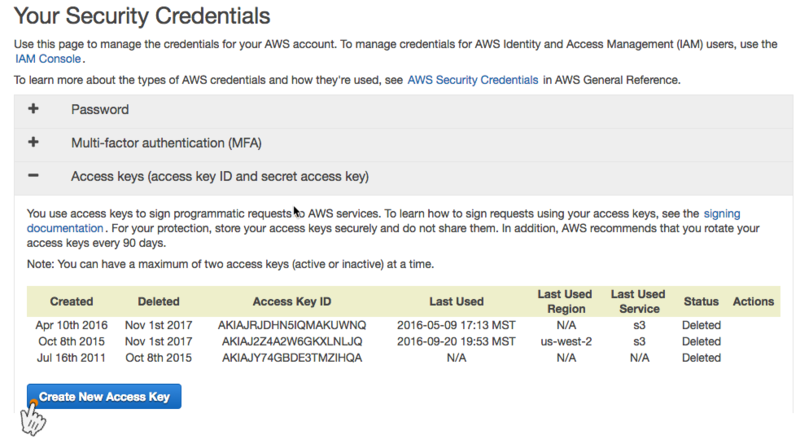 You may receive a notification giving you an option to Continue to Security Credentials or Get Started with IAM Users. Select the Continue to Security Credentials (you could tick the option to prevent this pop up from displaying in the future). Copy your access key and secret key to a safe and secure location on your computer. Alternatively, you can click the Download Key File button to get the key in a CSV file. Be sure to store this in a secure location. Once this step is complete, you will not be able to retrieve the secret key. If you lose your key, you can deactivate and delete a key to create a new one. You may have up to 4 keys at once. Now add these keys from the last step into the S3 Media Maestro configuration settings. 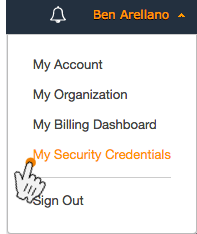 In the admin panel click on Settings→S3 Media Maestro then click on the Amazon: S3 tab. Insert both the S3 Access Key ID and S3 Secret Key and click Save Settings.